Tis the season of Love! This month the BPM crew was challenged to create valentines day cards or to add dimensions to our project. I decided to do both! I have been eyeing these window cards for a while and decided to try my hand at one. *Extra for bonus project - chipboard greeting and card base. Start by die cutting nested circle dies from both card bases with the largest circle on the top/front of the card and decreasing the circle size as you move inside the card. Below you can see how the the nesting looks putting 1 card inside the other. Cut black and red card stock square to fit card base. I stamped the card stock first then cut with the nested circles, but you could do die cut the card stock then stamp. Stamp Lady & Man Clock with Writing Art Rubber Stamp onto card stock and mat on black card stock. Adhere to inside back of card. insuring stamping image will be centered in smallest circle. 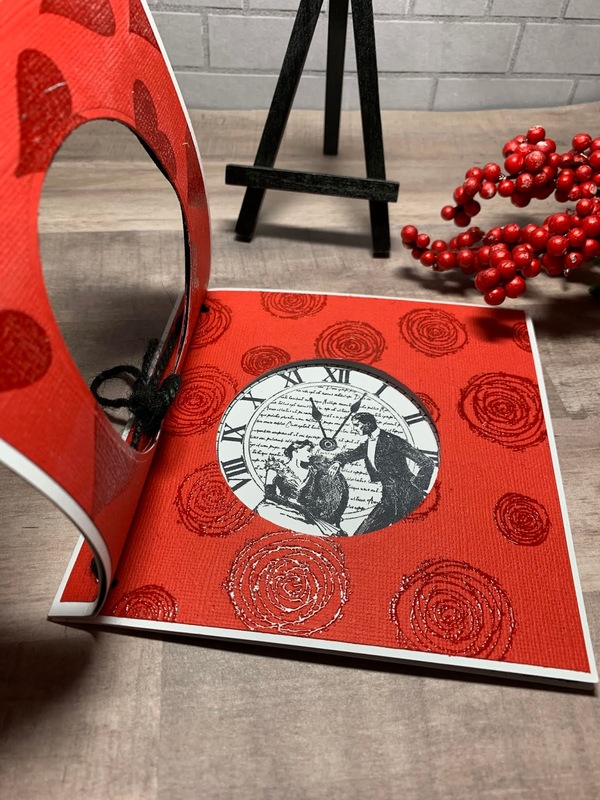 Stamp and emboss roses, clocks and hearts onto card stock to create insides of cards. 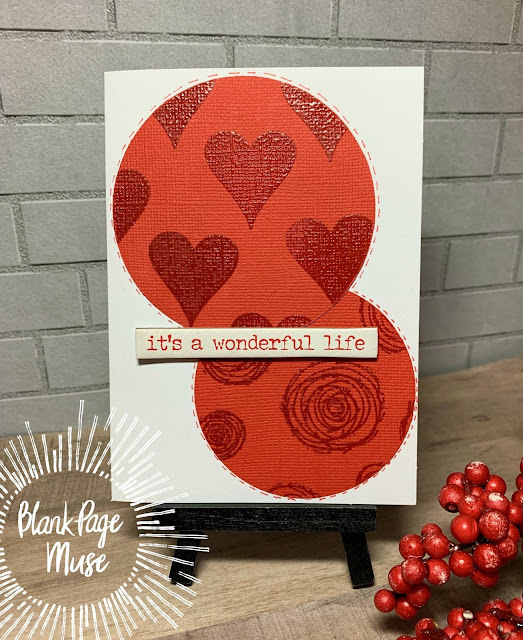 Adhere the card stock to front of card die cutting nested circle. 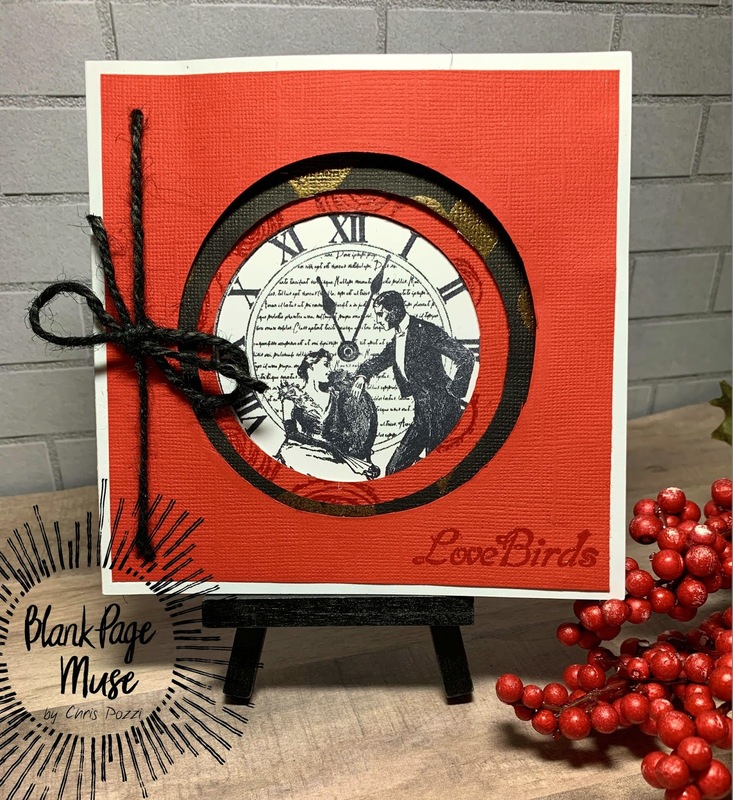 Stamp Love Birds Word Art onto front. 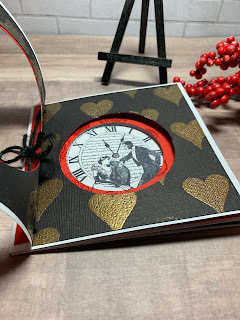 Place one card base inside the other and tie cards together to finish. Adhere stamped and embossing bested die cuts onto card base. Doodle stitches and add chipboard greeting! This series is awesome Chris! I love how your window cards are like small books. The bonus idea is super clever! Thank you! Wow! I’m loving all these layers and dimension! !